Our last day at camp has been a great one! We started the day with breakfast and morning worship, then we went to our morning rotation! After lunch we enjoyed two afternoon rotations and then went to dinner! 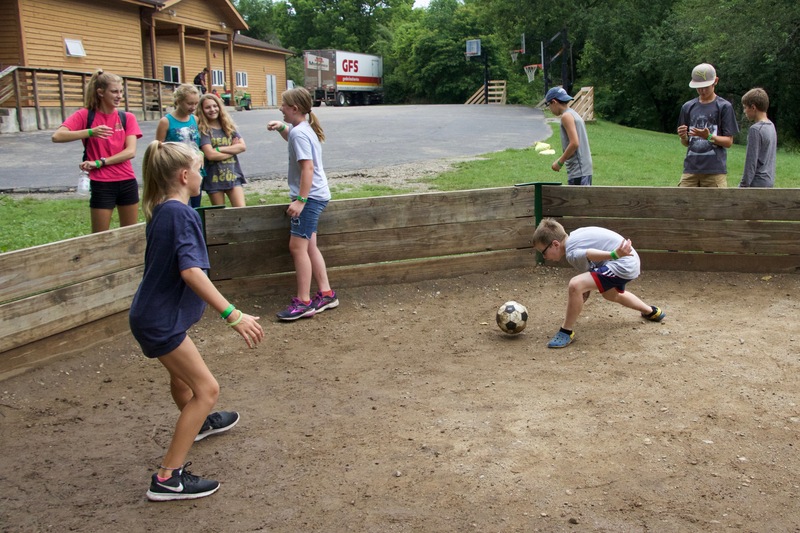 We played a game in the valley and then cabin groups went to start packing up their things and getting ready to go home. Parents soon began to arrive and we had our closing ceremony. Bob spoke about what has happened this week and we worshiped with More Than Conquerors for the last time. 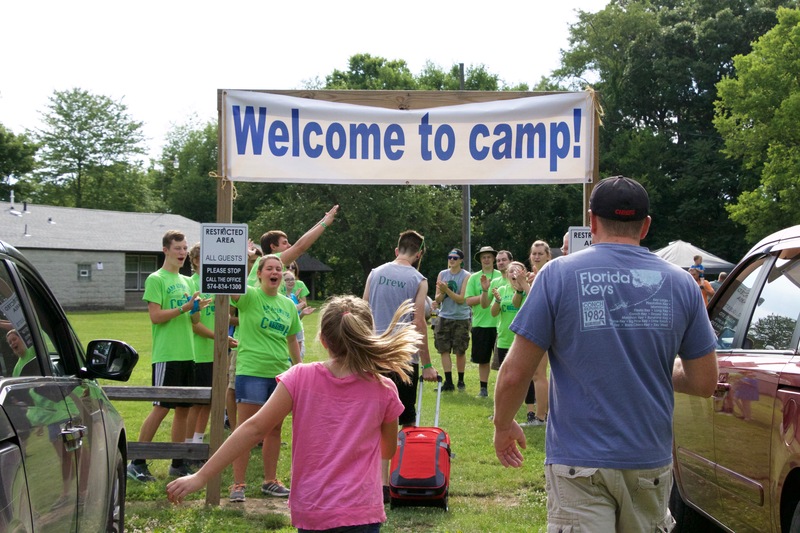 Campers reunited with their parents and said goodbye to their friends. There were lots of hugs and some tears as we parted ways. It was an incredible week of camp! Our last full day at camp has been a great one so far! We began our morning with breakfast, morning worship, and a morning rotation! Then we had lunch and went to afternoon rotations! 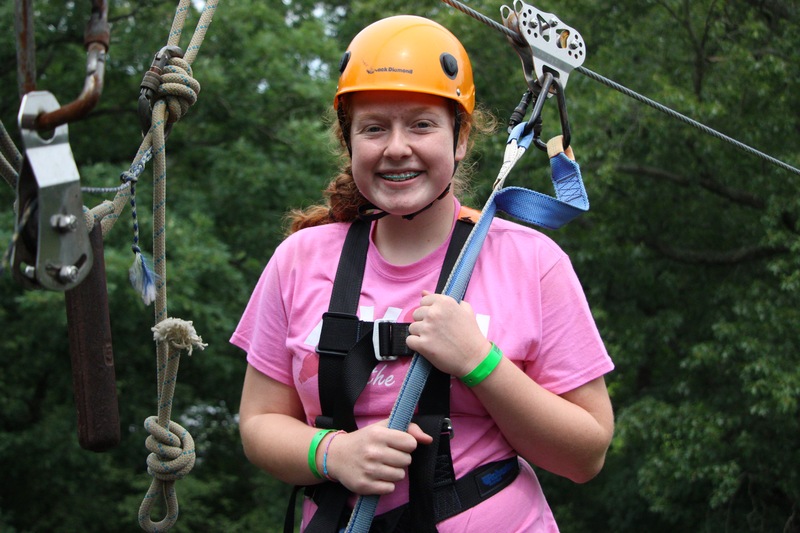 See more camp pictures here! Next up is dinner and Bible Quiz! Our staffers Levi and Nick are having a great time hosting it! 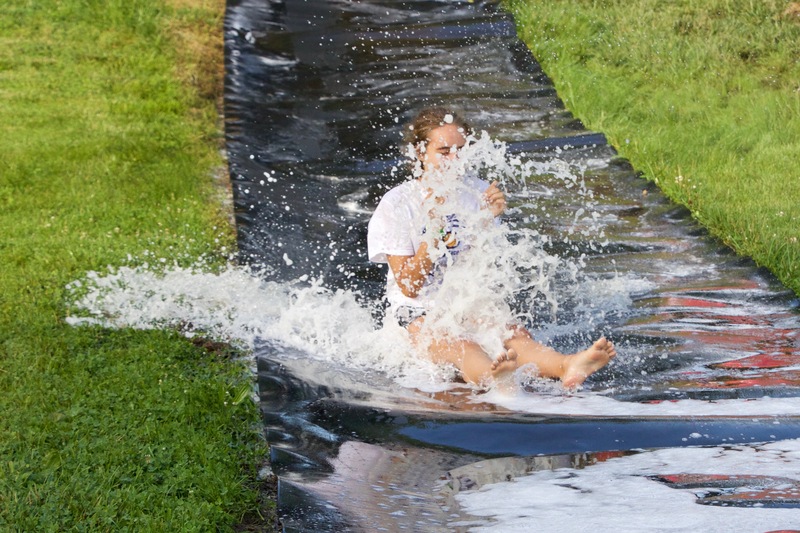 For valley games tonight campers went down the slip-n-slide! Tonight we sang One Thing Remains, We Believe, City On Our Knees, Come As You Are, and Build Us Back! Bob preached about service tonight! Ephesians 5:1-2 says, "1 Follow God’s example, therefore, as dearly loved children 2 and walk in the way of love, just as Christ loved us and gave himself up for us as a fragrant offering and sacrifice to God." The first disciples to follow Jesus sacrificed their lives to learn from Him. They wanted to be where Jesus was; we should too! We should want to imitate Jesus through service! Service helps to strengthen our faith. 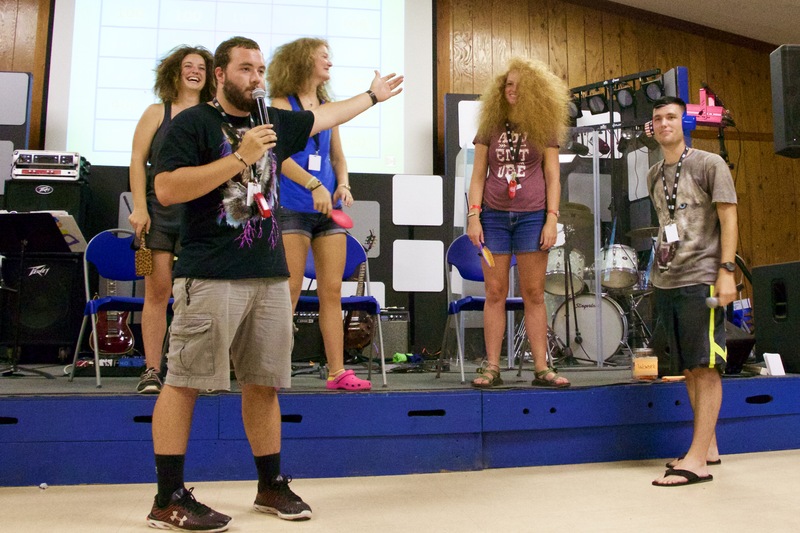 Many campers and counselors shared stories of mission trips they had been on that changed their lives and helped grow their heart for the Lord. They went near and far but serving others impacted all of them deeply. Jesus calls us to love and serve our neighbor, whoever they are. The ultimate act of service was Jesus dying on the cross for our sins. Campers shared in communion with one another and prayed together. Then we went to various campfires in our small Bible study groups and worshiped and shared with each other around the fire. 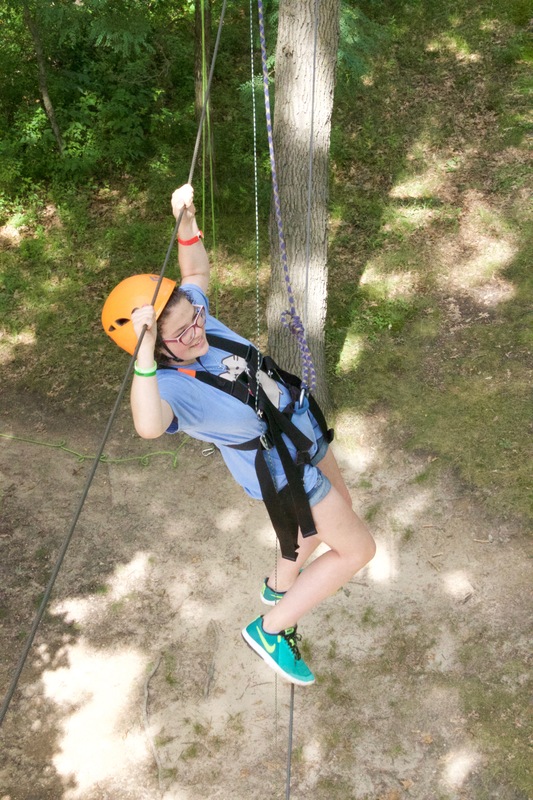 Campers were vulnerable during this time and shared their stories with one another. After we were finished, we went back to our cabins and went to bed. 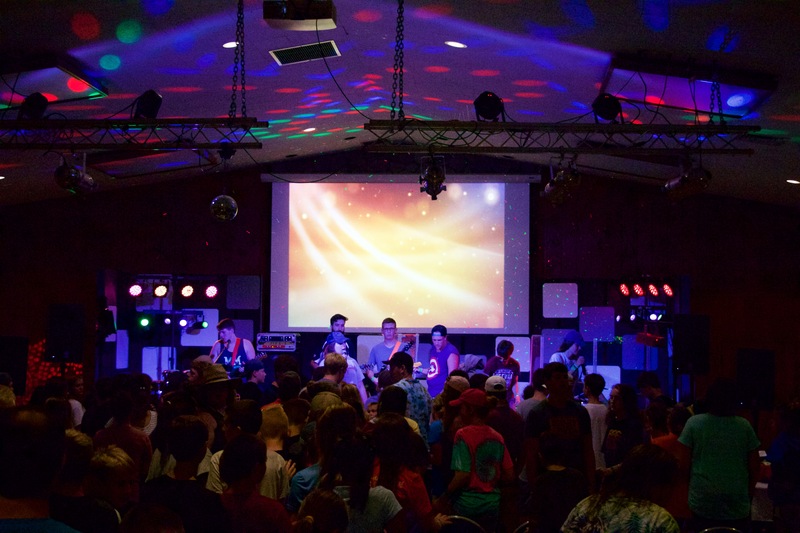 Campers began their day today with breakfast, morning worship and morning rotations! After morning rotations campers headed out to their two afternoon rotations and then ate dinner. Bible Quiz tonight was a blast! We have three staff members with very curly hair and they had a competition to see who could brush it out to be the biggest. Campers cheered them on and voted for who they thought won! 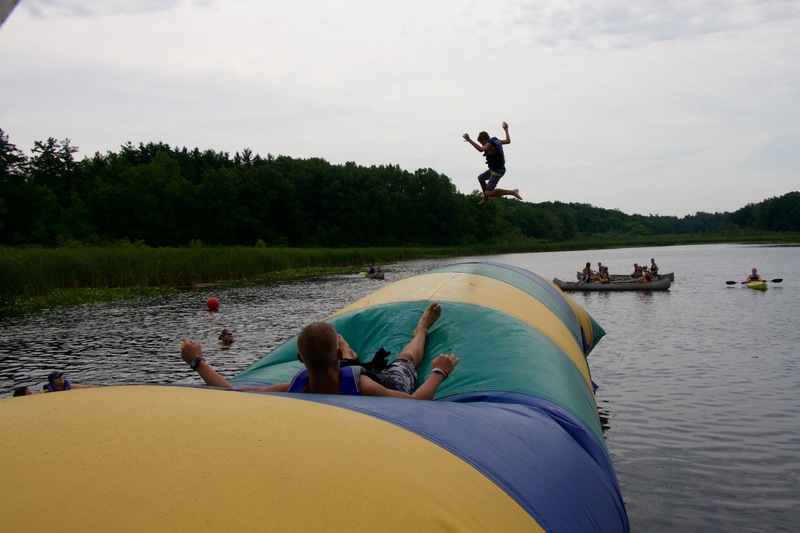 For valley games campers played beach ball blunder with a 6-foot inflatable beach ball! Then we came inside for evening worship! Tonight we sang Blessed Be Your Name, Jesus Freak, Lift Your Head, From the Inside Out, What If I Stumble, Give Me Your Eyes, and Born Again. After worship campers did devotions with their cabins and went to bed! Another Great Day at Camp! Our day today started off with breakfast, morning worship, and morning rotations! After lunch we had two more rotations to make up for the one that we missed due to the bad weather yesterday. Today, the weather was warm and wonderful and we enjoyed some awesome rotation time! After dinner we had Bible Quiz and then Pool Olympics! 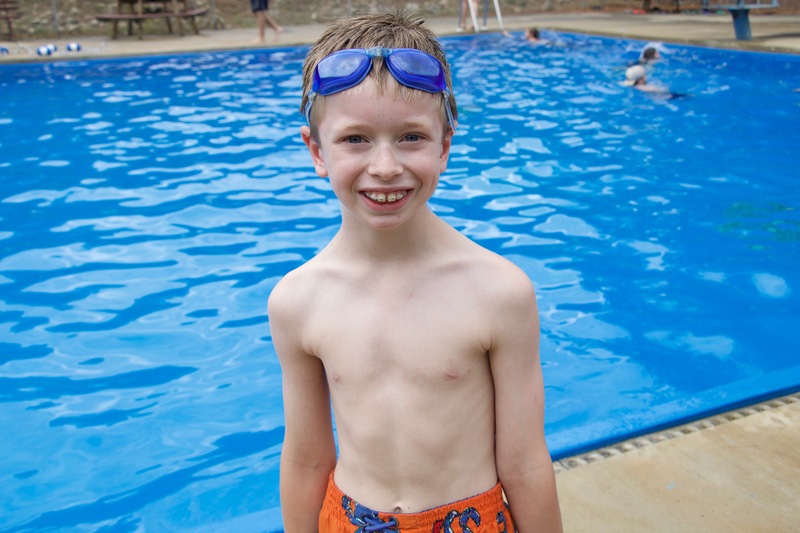 Pool Olympics is lots of fun water activities! 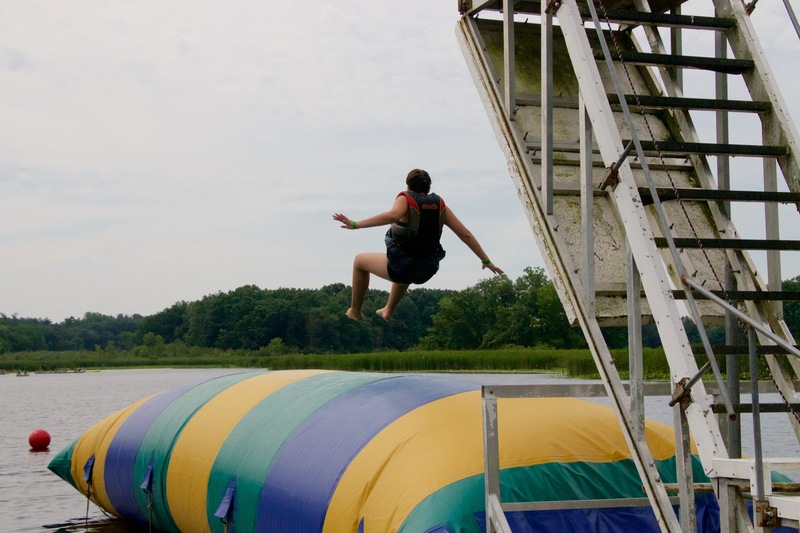 We went down our slip-n-slide on inner tubes, we played water polo in the pool, we played human net volleyball where our staff members were the net, and we played sponge-dodge (dodgeball with wet sponges). We got all wet and had a great time! After the valley games we went to the Lodge for Evening Worship! Tonight at worship we sang Free To Be Me, What Faith Can Do, Come As You Are, What If I Stumble, Oceans, The Heart of Worship, City On Our Knees, and From The Inside Out. The message began with God-sightings from the day where campers shared with the group where they had seen God at work today. Then they shared prayer requests and covered them in prayer. The message was about believing in our God even when things are hard. We talked about Thomas the Apostle doubting that Jesus had risen from the grave. Thomas only truly believed it after had saw Jesus in person and touched the wounds that He had. Choice is a big part of our relationships with God. We must be able to decide to follow Him in order for our faith to be valid. We talked about why people sin. People sin because we are free to make our own decisions and we don't always choose the correct path. We lie. We cheat. We get angry. We seek inappropriate situations. We blind ourselves to righteousness by letting little white lies convince us they aren't sins of equal measure. God hates sin and it separates us from Him. A band member named Ben shared his testimony with the group. Ben grew up in a broken home and had a lot of feelings of inadequacy throughout his life. He didn't understand why his parents had split up or why his mom and her new husband Jack also split up. Ben withdrew from the world and stopped reaching out to people. His best friend Tammy tried to kill herself and Ben also struggled with suicidal tendencies. He didn't understand why God would do this to him, he asked "Why me?" 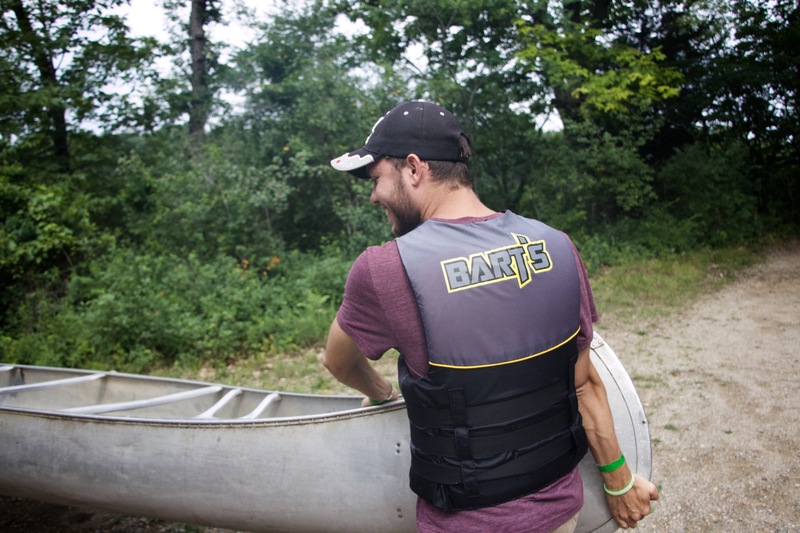 Eventually, Ben went on a mission trip that changed his life. He saw people who had even more hurt in their lives than he did who still had the joy of the Lord and who still enjoyed their lives. Then he began asking "Why not me?" Ben found God on that trip. God isn't material wealth. He is love. Love for ourselves, love for others, and love for service. The scars that Ben carries from his past are not something to be ashamed of but something to carry to help serve the Lord with! After Ben shared Bob got back onstage and shared Revelation 3:20 with the campers. "Here I am! I stand at the door and knock. If anyone hears my voice and opens the door I will come in and eat with him, and he with me." Campers were asked if they were ready to open the door of their hearts and to let the Lord in. They got up and walked symbolically through an open door we set up and walked to the back of the room to pray with counselors, staff, and directors. Some campers gave their lives to Christ!! Our first full day of camp started with an awesome breakfast! We had a bit of bad weather today so campers stayed inside until lunch. We played games, sang silly songs, and had a blast! After lunch the weather cleared and we went to our first rotations! 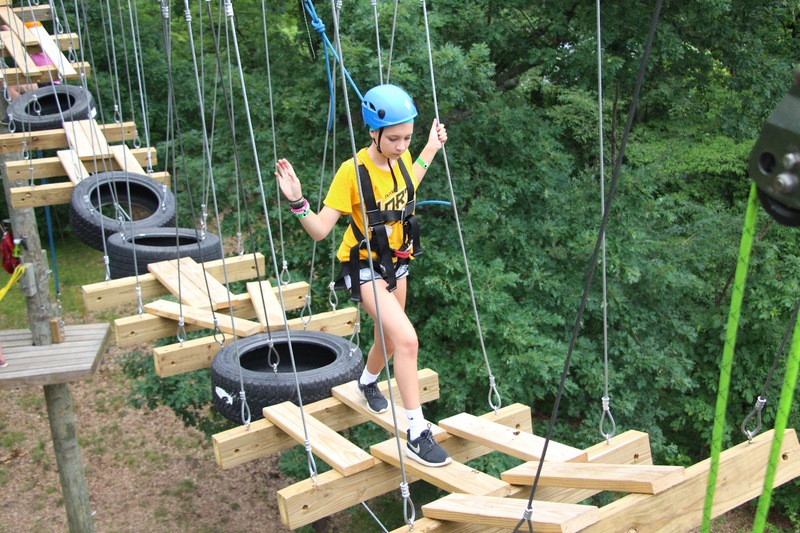 Rotations at Camp Adventure are high ropes, low ropes, blob, paintball, canoes, or pool. 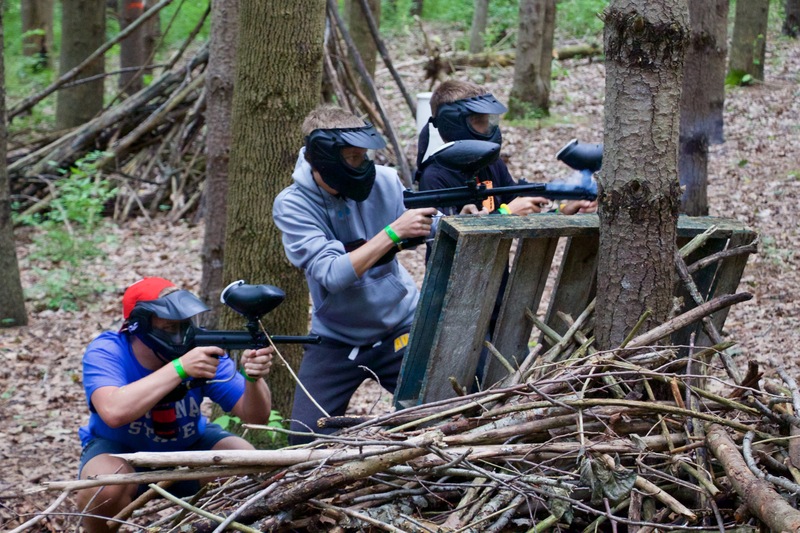 Campers break into smaller groups and each of the smaller groups goes to a different rotation. After two rotations campers came back to the lodge for dinner. Following dinner we do Bible Quiz! Bible Quiz is a game show run by the staff that is hilarious and informative. It is set up like Jeopardy and has fun categories like "Know Your Staff," "Men of the Bible," "Camp Trivia," and many more. 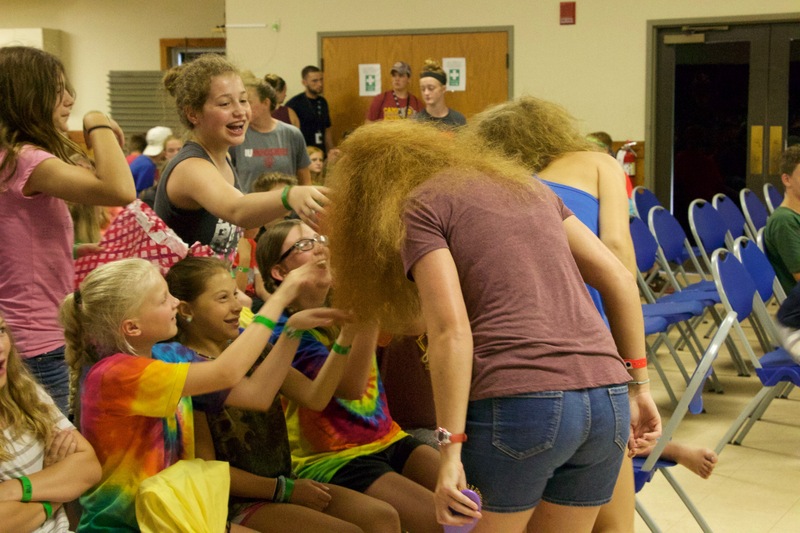 The campers come up to the stage in pairs of two and use each other as buzzers to answer the questions once they are asked. The cabin that answers correctly gets to pick the next category. Valley games are up next! 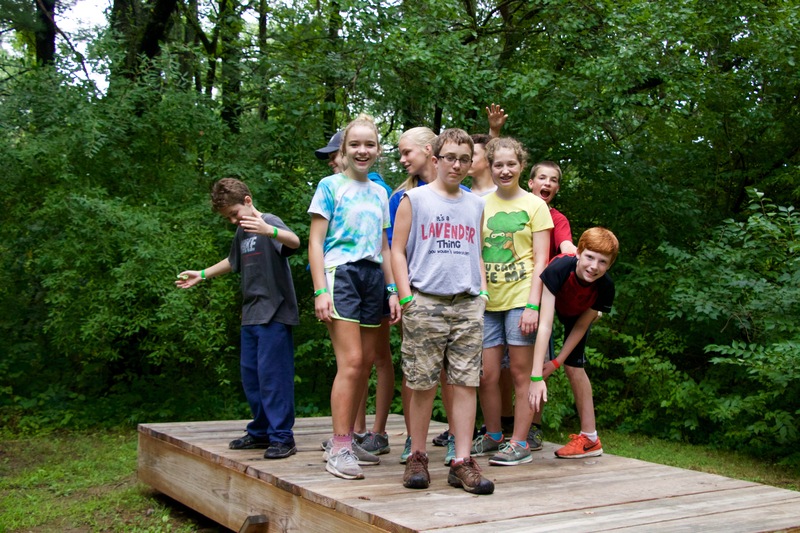 Today campers played Zombie Triangle Tag! One of our favorite parts of the day is evening worship! Tonight we sang We Believe, and Jesus Freak. During the sermon we talked about Scripture. 2 Timothy 3:16 says "All Scripture is God-breathed and is useful for teaching, rebuking, correcting and training in righteousness." All Scripture is from God, since it is from God you should apply it to your life! Just reading your Bible doesn't cut it, we have to live out what we read. Joshua 1:8 "Do not let this Book of the Law depart from your mouth; meditate on it day an night, so that you may be careful to do everything written in it. Then you will be prosperous and successful." We used the analogy of wind chimes. The top part of wind chimes represents Scripture. One of the hanging pieces represents reason and common sense, another is experience, another one is tradition. When all of the pieces work together they chime and make a beautiful noise. Luke 11:28 "He replied, "Blessed rather are those who hear the word of God and obey it." 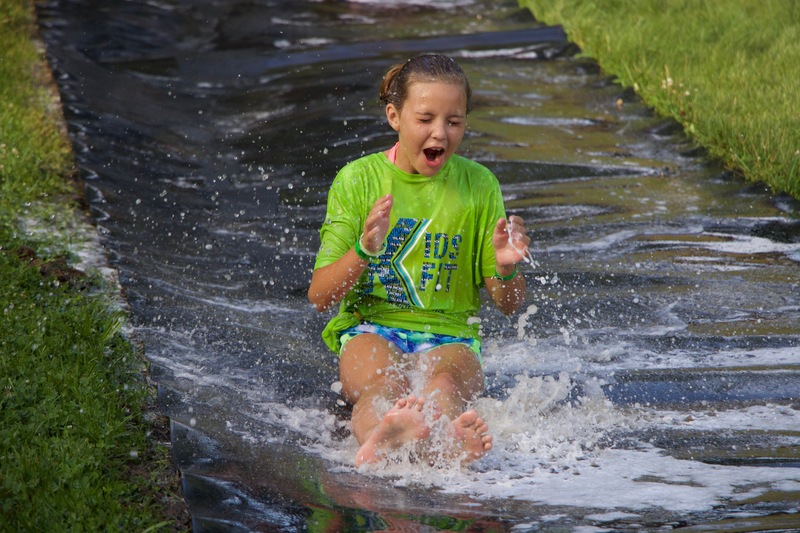 Campers were asked to come forward and share their favorite Scripture verses. After worship campers headed back to their cabins to do nightly devos with their cabin mates and then they went to sleep! It was a great first day! The Camp Adventure staff is so excited for another week of campers! We're expecting incredible things to happen! Campers arrived today and began to meet one another and their counselors! Our first activity was a group game that we played in our valley. Campers played the Molecule Skills Game and then headed into Lookout Lodge for our first worship together! During worship we sang Born Again, Lift Your Head, Build Us Back, and What Faith Can Do. During today's sermon we talked about seeking versus looking. Seeking is far more intentional than looking and the Lord is seeking a relationship with us. Matthew 6:22 “The eye is the lamp of the body. If your eyes are healthy,[c] your whole body will be full of light. 23 But if your eyes are unhealthy,[d] your whole body will be full of darkness. If then the light within you is darkness, how great is that darkness! 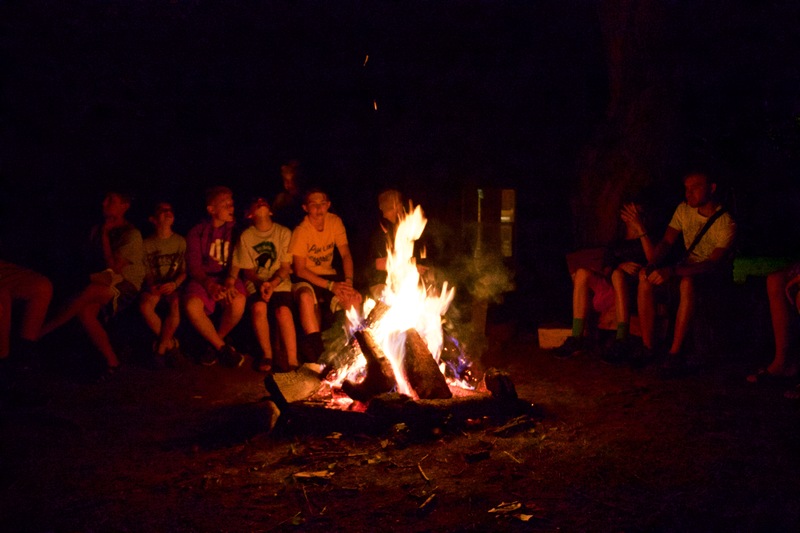 After worship, campers went stargazing to enjoy God's beautiful creation! Then they went to their cabins to do devotions and went to bed.